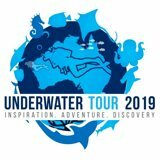 Register on underwater to get your own profile page, enter your photos into the ongoing competitions, share your stories, contribute in the forum, comment on articles and images, find a buddy, easy shopping in the underwater shop and many other cool features. A cool prize will be drawn from all newly joining members every month. Find out more on our community page. Be assured that your information is kept private.